To activate your subscription, follow the steps given below. 1. Navigate to the Account Management option in the top right corner of the page. The Account Management page will be displayed. 2. 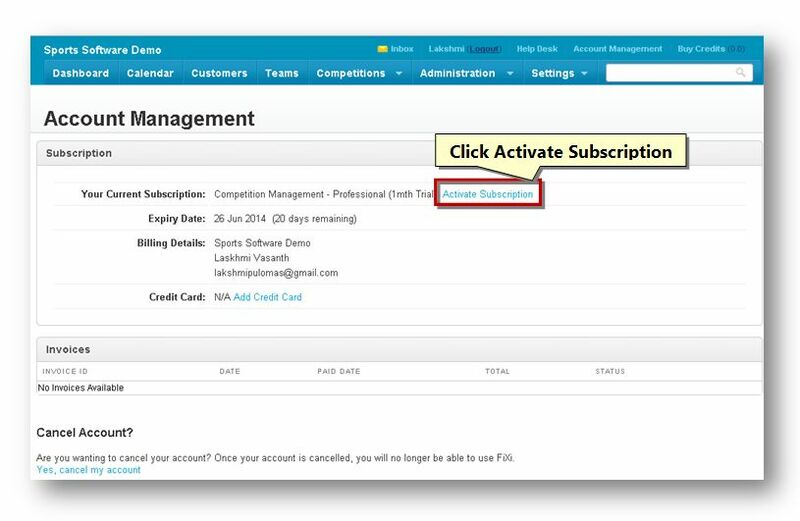 Click the Activate Subscription button. The Edit Subscription page will be displayed. 3. Select the type of the Plan from the Plan Type drop down list. The available options are Free, Basic, Professional and Power Planner. 4. Based on the plan type you selected, the Plan Cost, Courts, Bill Me, Payment Type fields will be automatically populated. 5. In the Card Details section, enter the name of the card in the Name On Card text entry box. 6. Select the type of the card from the Card Type drop down list. The available options are VISA and Master Card. 7. Enter the card number in the Card Number text entry box. 8. Enter the date of expiry of the card in the Expire Date text entry box. 9. Enter the card verification number in the CVN text entry box. 10. 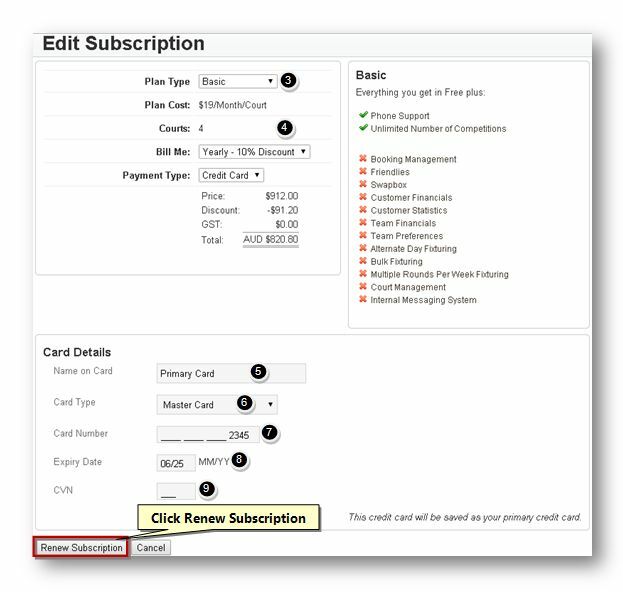 Click the Renew Subscription button. The new subscription will be activated.